I went shopping a few times over the last few weeks, and bought several inexpensive garments in which to alter. For this post, I'm sharing three completed alterations that are all now skirts made to fit me. The 1st and 2nd skirts were originally bad strapless dresses in thin fabrics. The 3rd skirt was a plus sized skirt that I resized in an easy way, and recolored it's embroidery. My personal style is gothic bohemian. This means that most of my clothing is very loose and flowing. I love Mexican influences in the clothing I choose to wear. 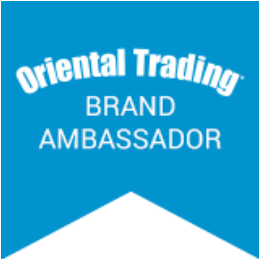 I own a lot of real vintage and vintage inspired clothing, as well as modern pieces. I love very feminine clothing. That's not to say that I dislike masculine clothing. I like that too, and have several masculine inspired clothing pieces, but that's not what I'm sharing today. 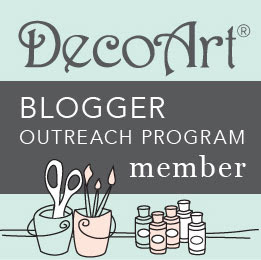 In addition to showing you the pieces I altered, I'm also showing you how I styled them. This helps you understand my personal style more, and how wearable the pieces are that I've altered. Though my style for normal day is gothic bohemian, my style for going out at night and for League of Space Pirates things is much different...but that's for a different post. I carefully machined sewed all the alterations to create perfectly fitting waistbands. As you will see with my styling, I don't show off the waistbands of these skirts. I have however shared special photos of the waistbands, so you can see what they do look like. Though to me, these were simple alterations, they are not for beginners. However, someone that has some long term sewing experience, could do these with no problems. I've been machine sewing for over 20 years, so these were simple for me. I have a growing stack of clothing to alter. I will share the pieces when I'm done altering them. Some will have before and after photos, depending on how hard the alterations were. For this outfit, I'm wearing black Mexican blouse, a black slouchy shrug, a black tank top, black heels, a black belt, and a maroon hair flower, with the dark floral skirt that I altered. The blouse has a wide ruffle with lace that goes across my shoulders and arms. It can be pulled off the shoulders or worn the way I show. I bought this on Ebay. 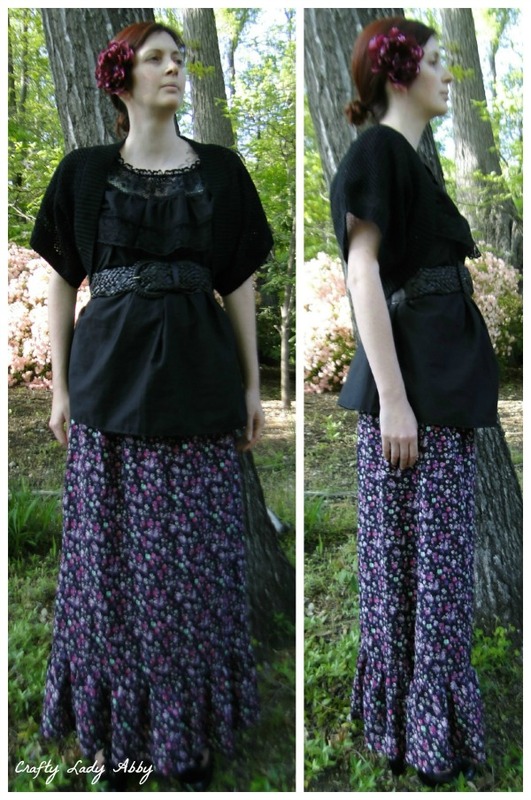 The black slouchy shrug covers the volume of the ruffle, but fits over that well, unlike fitted cardigans. I bought this recently at Walmart. Under the blouse, I'm wearing a black silk tank that is only form fitting at the bust. The tank is from Rugged Warehouse and is by Express. This blouse could we worn without a tank too, since the ruffle of the blouse covers my bust well. The blouse isn't form fitting, so this black belt helps cinch in my waist nicely. You can see the woven faux leather on the front, but across the back is a piece of wide elastic. I love how adjustable this belt is, because the closure fits through the weave of the faux leather. The belt is from some teenage shop...probably Charlotte Russe or Wet Seal, last year some time. The pair of black heels is vintage inspired. They are a faux crushed patent leather, with a thick heel, and a t-strap with tiered ruffles. I think the shoes were from Payless, several years ago. The flower I'm wearing is one I made year ago. The skirt of course is one that I altered. This floral maxi skirt, was a strapless dress with an elastic top band, and an smocked band under the bust. It's made of a thin fabric and this type of strapless dress is unflattering at the bust. When I tried it on in Rugged Warehouse, I realized these two things. While it was on, I pulled that underbust band to below my waist, and tucked in that terrible top portion. This also made the length of the dress meet my ankles. This dress was inexpensive, and could be easily altered, so I bought it. To alter it, I cut away the top portion an inch above the smocked band. I folded that raw edge twice towards the inside to create a hem, and used a lot of straight pins to hold it in place for sewing. I used my sewing machine's straight stitch to sew that hem. Since the smocked band gathers fabric together, the new hem for the waist is ruffled. I'm ok with that. This skirt is very comfortable. For this outfit, I'm wearing a grey fitted t-shirt, a striped cardigan, a grey hair flower, a cluster necklace, and silver flats, with the altered white maxi skirt. The grey t-shirt had an elastic gather down the center of the bust, and a grey crocheted applique. It's by Guess. I bought it about 10 years ago. The cardigan is from Ross, and recently purchased. It's made of a t-shirt fabric and is very fitted. Both the grey hair flower and the cluster necklace are pieces I made years ago. The silver flats are by Rocket Dog. I forget where I purchased them many years ago. 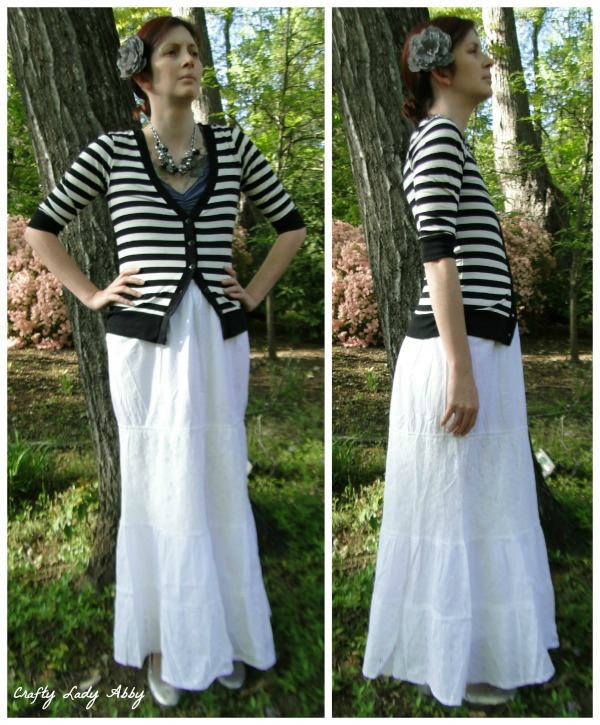 The white maxi skirt is one I created from a strapless dress. I purchased the dress from Rugged Warehouse recently. This dress was an even worse fitting strapless dress The top was sewn crooked and it was terribly unflattering. However, the fabrics of the skirt are nice and were worth salvaging. The fabric is mostly plain thin cotton, but their is a white lace overlay on the waist and the middle tier, and white cotton eyelet on the bottom tier. This dress had elastic smocking in the back, but was flat in the front. It had an elastic channel under the bust. To work with this configuration, I cut away the top portion (which is a layer of lace over cotton) a few inches above the elastic channel. I folded over this fabric towards the inside, and folded in the raw edges over the elastic band. I carefully pinned this band. I used my sewing machine and a straight stitch to secure the waistband edge under the line for the elastic casing. The stitching is pretty straight, as this was sort of tricky to do. I wanted to encase the pre-existing surged edges and not alter the stretch of the elastic. I really like how this skirt fits and looks. For this last outfit, I'm wearing the same black tank and black heels as the 1st outfit, a black chiffon tiered sleeveless blouse, a black wrap cardigan, a purple hair flower, a handmade necklace, and the black skirt that I altered. The black blouse is a great layering piece. It's thin because it's made from chiffon. I like the style of the tiers and the texture it creates. I forget where I purchased it, but it's likely TJ Maxx or a similar place. The wrap cardigan is a vintage Betsey Johnson piece. It has a dolman sleeve and ties that can be used in various ways. For this way of tying it, I crossed the ties over the front and twisted it back, so the ties are looped over each other. I wrapped the ends around my body and tied them in the back. Both the necklace and the purple hair flower are pieces I made several years ago. The skirt is one I finished altering today. This skirt was the perfect candidate for a design want on my project list. 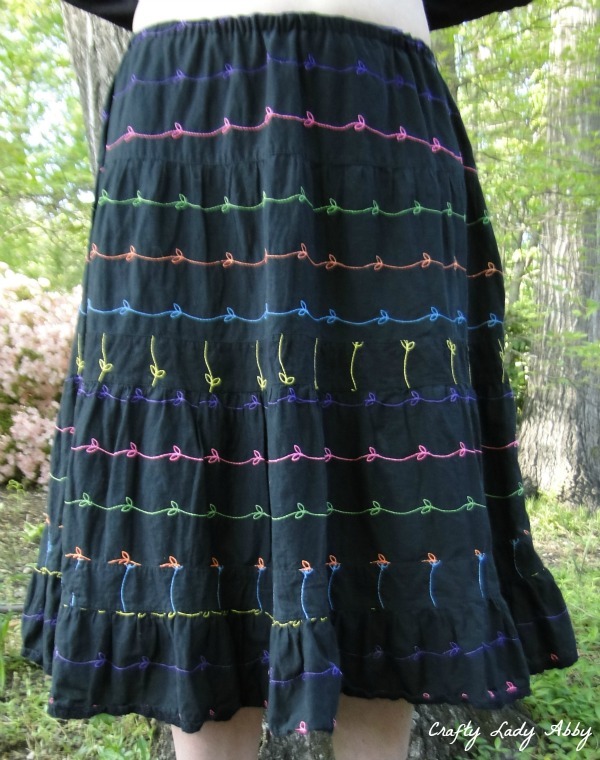 I wanted a Mexican inspired black cotton skirt with rainbow embroidery in stripes. I found a black skirt with white leaf embroidery at Goodwill recently. It was a size 18 and I'm a size 8. I knew it was worth taking the time to resize, because the embroidery was so nice! To resize it, I created a channel for a piece of elastic, by sewing together the embroidered cotton to the cotton lining about 1" from the top. I left a gap on each side of the zipper, so I could slip the elastic in. I had measured my waist, to decide how much elastic was needed. I made the elastic 2 inches shorter than this measurement, to make sure the skirt stayed on my body well. This skirt was likely meant to be worn higher on the waist, but that's not how I like to wear this style of skirt. I slipped the elastic through the gap with a a safety pin attached to one end of the elastic. I put a larger safety pin through the other end, so it wouldn't get pulled all the way through the casing. After I had the elastic where I needed it to be, I stitched down the elastic ends to the skirt, by the zipper. After that sewing alteration, I used 6 fabric markers to color in the white cotton embroidery. Coloring the embroidery took several hours, but was well worth it. These are the easier of the skirt alterations. There are a few more to come, with a dress and draped vest alteration. I have a long list of projects that do include making my own pieces without altering existing clothing. I'll get to all of them eventually, but I'm working on them as I can. Until then, happy makery!